Growing Games | You grew up with games. Now games need to grow up with you. 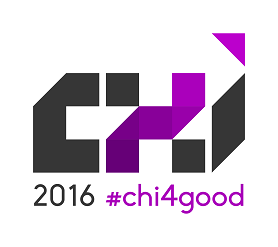 On Saturday, May 7th I will be participating in a CHI 2016 (#chi4good) pre-conference workshop focused on pervasive play. The workshop is closed to registered participants, but information about our players and our schedule can be found on the organizers’ blog. This panel explores speculative media at the intersection of actual and virtual, abstract and material, art and science. The examples we will discuss defy easy categorization, and meet multiple definitions: they are games, models, works of art, experiments, data visualizations, scientific documents or demonstrations. They represent phenomena otherwise difficult to render, such as geological time, or the air that surrounds us. They engage complexity that is difficult to frame, such as the algorithmic extrapolation of a galaxy, or the human and non-human ecology of one farm. Cinema has always opened an unstable relationship between the fantastic and evidentiary: consider, for example, the similar magic of “trick films” and time-lapse studies, or the intimacy and yet distortion of an extreme close up. Today, the properties of digital, algorithmic technologies both reiterate and reconstruct such tensions between observation and fabrication, perception and imagination. On one hand, digital media have allowed new “techno-aesthetic regimes”, as one of our panelists puts it, to proliferate, allowing for a user to browse and zoom through the massive timescales of a computer-generated Deep History or the infinite space of a virtual universe. On the other hand, scholars have increasingly understood natural and elemental processes–atmospheric, geological, waterways–as themselves forms of media, and used other experimen tal processes to interrogate and expand the boundaries of cinema and media studies. How do the speculative aesthetics of new media draw upon the history of cinematic representation but also extrapolate emergent modes of representation, exhibition, and spectatorship? How do they reshape formal conventions for rendering space and time, stretch our notions of “documentary,” and even challenge our definition of “media”? “An Infinite Canvas in Time” and Space: Big History, or Science Fiction? Even as one emphasizes time and the other space in presenting the cosmos, both ChronoZoom and No Man’s Sky treat representation, navigability, and complexity as integral concerns. Part of a recent push for “Big History,” ChronoZoom’s creators hope that it will introduce a “browsing” model of knowledge acquisition more visual and intuitive than text-based searching. The developers of No Man’s Sky face an analogous task, that of creating organized and engaging complexity out of potentially infinite material. Granted, ChronoZoom has been proposed as a response to the overabundance of information in our contemporary moment, a means to skim and rearrange the ever-growing stuff of history, while No Man’s Sky promises to set before us a fictional computer-generated game universe without end. Yet both suggest novel techno-aesthetic regimes predicated on eliminating the perceived boundaries of existing media—one, a visual epistemology based on “deep zoom” image technology, and the other an alternative method of producing playable content using algorithm-driven procedural generation rather than manual design. Despite ambitious claims to the contrary, both ChronoZoom and No Man’s Sky are inevitably asymptotic enterprises, always approaching but never reaching total coverage. In fact, what makes them so intriguing is not the rhetoric of absolute scale, but the way they invite us to craft media experiences at effective or relative scales, set against the field of inexhaustible time and space. “ChronoZoom.” Microsoft Research. 26 Aug. 2015. http://research.microsoft.com/en-us/projects/chronozoom/. “No Man’s Sky.” Hello Games. 26 Aug. 2015. http://www.no-mans-sky.com/. Costikyan, Greg. Uncertainty in Games. Cambridge, MA: MIT Press, 2013. Dyer-Witherford, Nick, and Greig de Peuter. Games of Empire: Global Capitalism and Video Games. Minneapolis: University of Minnesota Press, 2009. Liu, Cixin. The Three-Body Problem. Trans. Ken Liu. New York: Tor, 2014. Tong, Chris. “Ecology without Scale: Unthinking the World Zoom.” Animation 9.2 (2014): 196-211.